Description: Recently-ordained Fr. Samuel Orsot who was baptized here as a baby at St. John Vianney, will give the mission consisting of a series of preached masses and a confessional service. Please save the dates now to ensure your calendar is open for this Lenten mission. Description: We will pray the Way of the Cross every Friday during Lent at 6:00pm in the church. The way of the cross will be followed by Mass at 6:30pm. Please note there will not be a morning Mass on Fridays during Lent. Description: Sunday, April 14th in conjunction with the Knights of Columbus dinner, the Catholic Daughters will be selling baked goods! Money earned will be used for our scholarship fund. Description: On Palm Sunday, our Knights of Columbus will be providing barbeque pork steak dinners with rice dressing and beans. They will be available for pick up at the Saint Daniel Center between 10:00 am & 12 noon, April 14th. Tickets will be available for purchase this weekend after each Mass. Eucharist Adoration will be observed following Mass until Midnight. Description: Our church office will be closed April 18th-22nd in observance of Easter. The office will re-open Tuesday April 23rd. Description: Our 13th annual Walk for Christ. We will be departing Saint Patrick Catholic Church in Sweetlake at 7:00 am and we will arrive in Bell City at Saint John Vianney Catholic Church at about 2:30 pm; in time for our 3:00 service. Everyone is welcome. Please dress appropriately. For more Information call Butch Sibille at 540-4852 or Lolo Boudin at 661-7049. Description: We will also be observing the Way of the Cross on Good Friday at 2:00 pm in the church for anyone who cannot make the walk. Fast and Abstinence is expected for Good Friday, risking serious sin if the practice of respecting our Lord’s suffering and passion is neglected. Description: Fast and Abstinence is expected for Good Friday, risking serious sin if the practice of respecting our Lord’s suffering and passion is neglected. celebration of the Easter Vigil should take place at night, beginning after nightfall or ending before the dawn of Sunday. The Easter Vigil has four parts: The Service of Light; the Liturgy of the Word; the Liturgy of Baptism; and the Liturgy of the Eucharist. The Easter Season flows from the Easter Vigil and concludes fifty days later on Pentecost Sunday. It is a joyous season in which we celebrate Christ's resurrection and ascension, as well as the coming of the Holy Spirit and the beginning of the Church. This is a time of rejoicing, when Alleluia should be sung with heartfelt emotion. 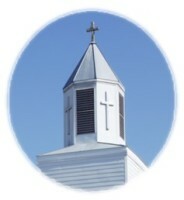 Every Sunday during the year the Church celebrates the resurrection of Jesus. However, St. Athanasius regarded the fifty days of the Easter season as "the Great Sunday." Reflecting this view, the Sundays of the Easter season are not called Sundays after Easter, but Sundays of Easter. For example, the Sunday that follows Easter is the Second Sunday of Easter. Recently-ordained Fr. Samuel Orsot who was baptized here as a baby at St. John Vianney, will give the mission consisting of a series of preached masses and a confessional service. Please save the dates now to ensure your calendar is open for this Lenten mission. We will pray the Way of the Cross every Friday during Lent at 6:00pm in the church. The way of the cross will be followed by Mass at 6:30pm. Please note there will not be a morning Mass on Fridays during Lent. Sunday, April 14th in conjunction with the Knights of Columbus dinner, the Catholic Daughters will be selling baked goods! Money earned will be used for our scholarship fund. On Palm Sunday, our Knights of Columbus will be providing barbeque pork steak dinners with rice dressing and beans. They will be available for pick up at the Saint Daniel Center between 10:00 am & 12 noon, April 14th. Tickets will be available for purchase this weekend after each Mass. Our 13th annual Walk for Christ. We will be departing Saint Patrick Catholic Church in Sweetlake at 7:00 am and we will arrive in Bell City at Saint John Vianney Catholic Church at about 2:30 pm; in time for our 3:00 service. Everyone is welcome. Please dress appropriately. For more Information call Butch Sibille at 540-4852 or Lolo Boudin at 661-7049. We will also be observing the Way of the Cross on Good Friday at 2:00 pm in the church for anyone who cannot make the walk.